Officials say there is no reason for the public to be concerned of getting the virus. 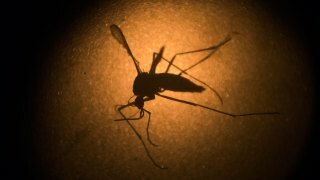 Health officials on Friday confirmed cases of Zika virus in San Mateo and Santa Clara counties. The San Mateo County Health Department will only say the patient contracted it while traveling abroad and that the person has fully recovered. There was no immediate information on the confirmed case in Santa Clara County. Napa, Alameda, San Francisco and Contra Costa counties have all reported at least one case. Officials say there is no reason for the public to be concerned of getting the virus.